Hackamores are have a special design and do not have a bit. Instead, it has a special type of noseband that works on pressure points on the face, nose, and chin. The most common bitless bridle, which is often used when horses have an injury in the mouth area or evade the rein aids. A hackamore acts on the poll, the sensitive bridge of the nose and the chin dimple. Hackamore with fur lining and 19,5 shanks. Can be used in combination with a bit. This hackamore is suitable to use in combination with a bit. Under the fur lining is a chain with hard rubber around it. This bit has shanks of 19,5 cm. This Hackamore Combi applies pressure to the horse's nose and chin as well as across their tongue. With short shanks. 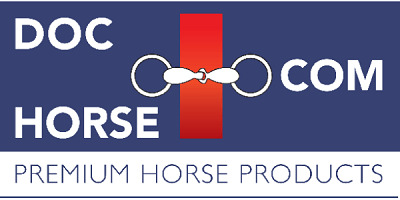 This Hackamore Combi applies pressure to the horse's nose and chin as well as across their tongue. With long shanks.